Wouldn’t it be mind-boggling to look inside the human body and see how the heart, lungs, muscles, and bones work? Wouldn’t it be astonishing to see what swallowing, breathing, and digesting look like from the inside? With My Incredible Body, both children and adults can learn all the pieces and parts of human anatomy in an incredibly fascinating human body guide. with this uniquely precise virtual guide. * Zoom inside the skeleton, muscles, organs, nerves, and blood vessels to learn where everything is and how all the parts of your body function! * Take rocket rides through the human body to experience how blood flows, what lungs look like when breathing, and how the body does its swallowing and digesting. You can even stop and look around! * Learn how the skull bones fit together, what the busiest muscle in your body is, and other cool science facts like how the iris got its name! * Watch short movies that show you how your brain works, how your muscles work together, and how your heart functions! * New in-app purchase features fun quiz questions so kids can test themselves on what they’ve learned! 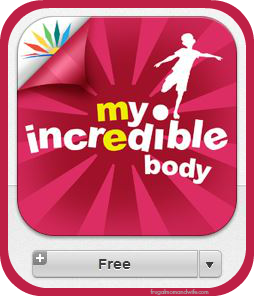 My Incredible Body is designed to be both engaging and educational, appealing to the natural curiosity of kids. It’s designed for experimentation, experience, learning, and discovery. Best of all, it’s really fun to use! Medically accurate 3D models and animations of anatomical structures are the hallmark of My Incredible Body. 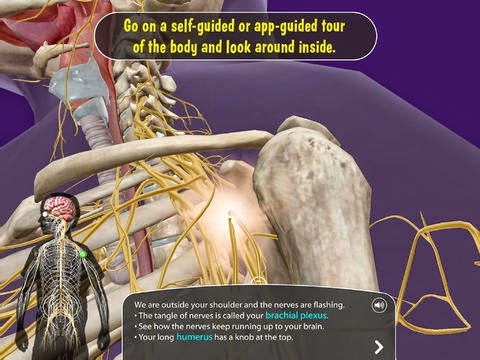 Content is served in a variety of ways to help kids learn about the human body. * Immersive 3D models allow kids to see inside the body, identify organNs and other anatomical structures, and learn amazing anatomy facts about how the body works. 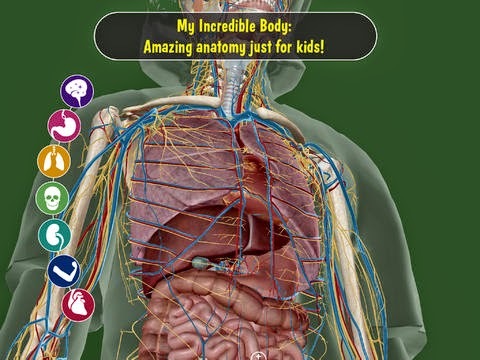 * Children can use their fingertips on their iPad or iPhone to virtually “dissect” 3D models. They can rotate and zoom in and out to see what their insides look like and how the structures work together. * Children can read and hear fun science facts about each anatomical structure—either with or without a virtual guide for exploration. * Children can virtually fly through the different body systems. 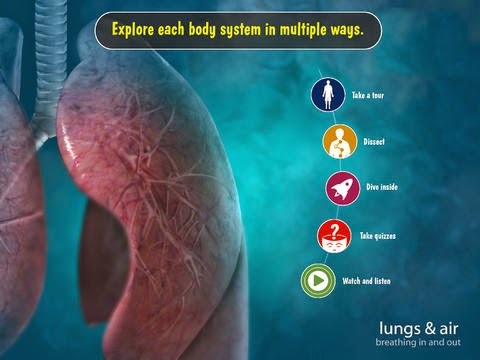 * Short animations provide educational explanations of the body’s functions. way to becoming an anatomy rock star! Click the button below to get this app! !